In an exclusive interaction with People Matters, Nutan Singapuri, Senior Director, Human Resources - APAC, LinkedIn reveals how the biggest challenge that women face in the tech sector is that of the unconscious bias and what can organizations do to change this. There are no doubts that technology is a big enabler. Access to technology has opened up many avenues for women and the percentage of women in digital is rising day by day. Yet the digital divide still remains a formidable one as one of the biggest challenges women in tech face is that of the unconscious bias. How can we build a supportive ecosystem to bridge this divide from early on? 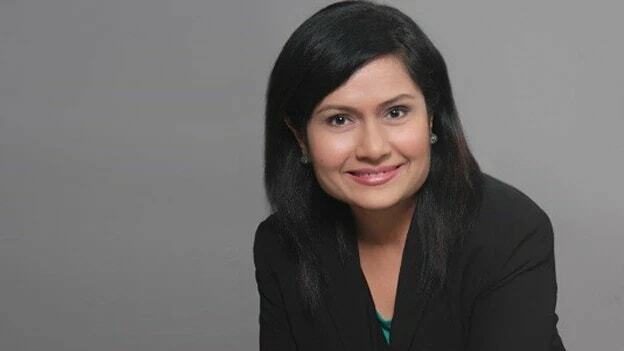 In an exclusive interaction with People Matters, Nutan Singapuri, Senior Director, Human Resources - APAC, LinkedIn, who will be speaking at TechHR Singapore, shares what organizations can do to bridge this divide. What do you think are some of the challenges women face on the way to adopting digital mind-sets? In the last several decades there has been a nearly 25% increase in female representation overall in the Software & IT industry, despite slow growth in developer roles, and nearly 30% change in Hardware & Networking. However, we still have a long way to go to fully embrace and encourage women to grow their aptitude and interest in tech careers. The proportion and volume of women STEM graduates have grown, but they continue to be underrepresented in the field in Asia (647K STEM graduates in APAC of which only 32% are women - see slide below). According to the World Economic Forum, in 2015, women comprised only 25% of people working in computing, with Asian women making up a mere 5% of this number. The road to embracing a digital career and mindset starts from early childhood, by building a supportive ecosystem with the right education and breaking down systemic societal barriers. The biggest challenge that women face in the tech sector is that of the unconscious bias that informs career paths, learning and development programs, and other workplace policies that narrows the funnel of women joining as well as staying and progressing in tech fields. At the workplace, after hiring, retaining these women and helping them flourish in this sector, is the biggest focus for companies today. Women feel far more pressured to prove themselves in a male-dominant sector like tech or are often not given the same opportunities for growth and leadership as their male counterparts - which inhibits their career path and many quit their careers at mid-level positions. In schools and colleges, especially in conservative societies, women are not encouraged to pursue a digital career, which limits exposure of such fields amongst women. Deep-seated societal biases such as how “girls are not good at math and science” also limit a female student’s initial interest in the field. How do you think technology can help overcome these challenges for women? Access to technology opens up a multitude of opportunities for women and is a great leveler in equalizing the playing field. Take jobs for instance: Online job portals have changed how women search for the right opportunities; through online job boards they can access jobs in urban areas even if they live in other parts of the country. With more remote work opportunities that are possible with the ease of technology, more women are able to enter and return to the workforce owing to the flexibility such roles offer. Technology also helps level the playing field by giving women the opportunity to upskill through e-learning modules and courses and build new capabilities. The e-learning industry in Asia is slated to surge from $11.4 Bn in 2015 to $12 Bn by 2020, say reports, and Asia is also the most vibrant and unique mobile learning market with mobile learning revenues in Asia to increase to $7.7 Bn by 2019. According to a 2018 report by UBS Securities, the Chinese online education market will also grow significantly from the 29 Bn yuan reported in 2017. E-learning and customized learning enables lifelong learning amongst women and allows them to grow at their own pace - while continuing to fulfill their family responsibilities instead of being in an either/or scenario that often leads women to drop their careers entirely. At the workplace, technology also provides performance support tools that empower women to steer and grow their careers in the right direction at the right pace and protects them against unconscious biases that could inhibit their career growth. Technology also helps build communities, support systems, and plan targeted initiatives to help women and women groups (such as returning moms) network and stay connected to learn new skills, share workplace problems, and encourage women to grow stronger at the workplace. What skills do women need to imbibe to lead in the digital age? To determine the attributes of women leaders, we looked at the most common skills based on LinkedIn profiles. Management and leadership top the list of skills for women in leadership positions. Interestingly, customer service and public speaking also ranked highly. As per the 2018 WEF Global Gender Gap Report in collaboration with LinkedIn points to a glaring gender gap that is developing among AI professionals, where women represent only 22% of the AI Workforce. Given the depth of the talent gender gap in AI, there is a clear need for proactive measures to prevent a deepening of the gender gap in other industries where AI skills are in increasing demand. These include traditionally male-dominated industries such as manufacturing, hardware, and networking as well as software and IT services, as well as traditionally female sectors such as non-profits, healthcare, and education. Along with hard skills, emotional intelligence and communication skills also play a key role, and soft skills such as Creativity, Persuasion, Collaboration, and Adaptability are some of the most sought-after skills this year. What kind of policies do companies need to devise to upskill women for the digital age? Upskilling is key to stay ahead in the digital age and help close the gender gap. From creating leadership paths for women to enabling them to work directly alongside a technical mentor, companies must be more inclusive and agile. Companies must foster a culture of learning and encourage women towards STEM, AI, and management courses. What are some of the policies put in place by LinkedIn to help women upskill and bridge the digital divide? LinkedIn is committed to creating economic opportunity for every member of the workforce, especially those underrepresented across industries. Our mission is to connect, inspire and grow women technologists to build products that reflect the diversity of our members. WIT at LinkedIn is focused on four specific areas: empowering career transformation for women at LinkedIn; attracting the best female talent to LinkedIn; ensuring our culture is always inclusive and engaging, and inspiring the next generation of tech women. The success of this program is seen in the numbers, with an increase of female leadership representation in technical roles up 193% over the past four years. One of our WIT program’s key focus areas is mentorship; we believe deeply that mentorship plays a crucial role in empowering and shaping the career paths of women in tech. Through coding boot camps, hackathons, high school trainee programs, and other ongoing events, we aim to create a long-lasting positive impact on the company as well as the women in tech community across the world. Despite being 40% of the global workforce, the % age of women CEOs still remains in single digits. How do you think can technology help in bridging that gap? Since 2008, more women have been hired into leadership positions around the world. While there is still a gap, we are seeing significant strides, and women in leadership now hold an average of just over 25% of all leadership positions globally. Our data shows that India, which has historically lagged in hiring women into leadership positions, has gained significant momentum with the largest percentage increase being hired into leadership roles (25%). According to 2018 Report on Women in the Workplace, men are more represented in managerial positions, and 73.8% of respondents revealed that each executive position in their company is occupied by a man. Companies today must focus on diversity, inclusion, and belonging -- all three -- to create a stronger workplace culture and boost performance for women. Finding diverse talent is the first step, and retaining the diverse talent and ensuring they feel like they belong are equally important today while bridging the gender gap. The executive tone is also key: how the CEO of the company champions the issue, how the company integrates it into to its company mission, how a company diversifies their own C-suites are all important factors that espouse a culture of diversity. Some of the simpler tactics to tackle gender bias are using inclusive job descriptions, exclude photos from applications, support action-oriented employee groups, and give employees a voice. How do you think does the future look like for women in digital? Can we expect a formidable shift in numbers soon? In 2017, when LinkedIn evaluated the roles women leaders in the workplace, the education and nonprofit sector are leading the way in closing the gap between male and female leaders. In this sector, women are being hired for 47% of leadership positions. Healthcare and pharmaceuticals also have a high number of women in leadership with 40% of women being hired into leadership positions. It may come as a surprise that the technology industry saw the largest change with an 18% increase in female leaders hired. The top three job titles for women that saw the strongest growth were all technology roles: User Experience Designer (67% increase), Chief Technology Officer (60% increase) and Web Developer (40% increase). More recently, the WEF Global Gender Gap Report 2018, showed that 52% of women still perceive technology as a male industry, while almost a third (32%) believes gender bias is still a major hurdle in the recruitment process. While we are making strides to encourage more women to enter traditionally male-dominated fields, there is still work to be done. One of the key aspects of closing the gender gap is to identify where we have made progress, tackle challenges to continue closing the hiring gap, and provide more opportunities for women. Nutan Singapuri will be speaking at TechHR Singapore on 28th February 2019 at Marina Bay Sands, Singapore. Register now.